I have to be honest - going to Marathon Expos is a nightmare for me. I'm not good with crowds...not at all. 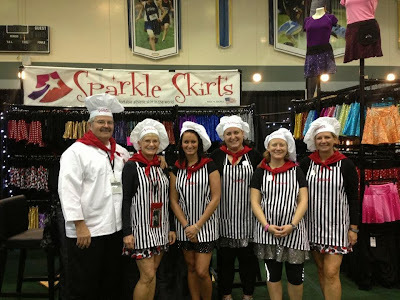 This years runDisney Wine and Dine Half Expo was nothing like I expected and I actually enjoyed myself! I stopped for a photo opp before entering the expo - I mean, how could I pass up an opportunity to take a photo with a life size cutout of Champagne. There were no lines!! We didn't have to wait in line to get into the expo. This is much different than the last time I attended a runDisney expo. 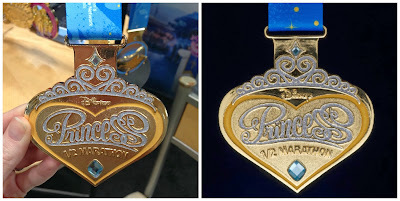 The first booth I checked out was runDisney official race merchandise. 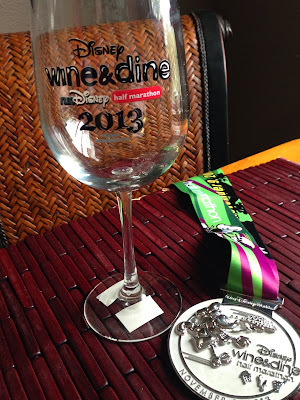 At the time, there was a decent amount of merchandise available including Wine Dine Half wine glasses. I didn't stop as I was on a mission to change my corral and learned I needed to be in a different building to do this. I left Keri and Gabe, heading over to the registration building. The first thing I noticed inside was they were sold out of official merchandise. I picked up the phone and called Gabe - instructing him to stop whatever it was he was doing and go straight to the merchandise tent - I needed my official runDisney wine glass before they sold out.....luckily I did this and he listened because he snagged one of the last remaining Wine Dine Half wine glasses. Thanks babe! I then headed over to Milestones Sports Jewelry where I started mentally creating my bracelet. If you are a runner or athlete, you must checkout their jewelry. I am currently building a bracelet to showcase my past year of achievements, and making it personal to me. 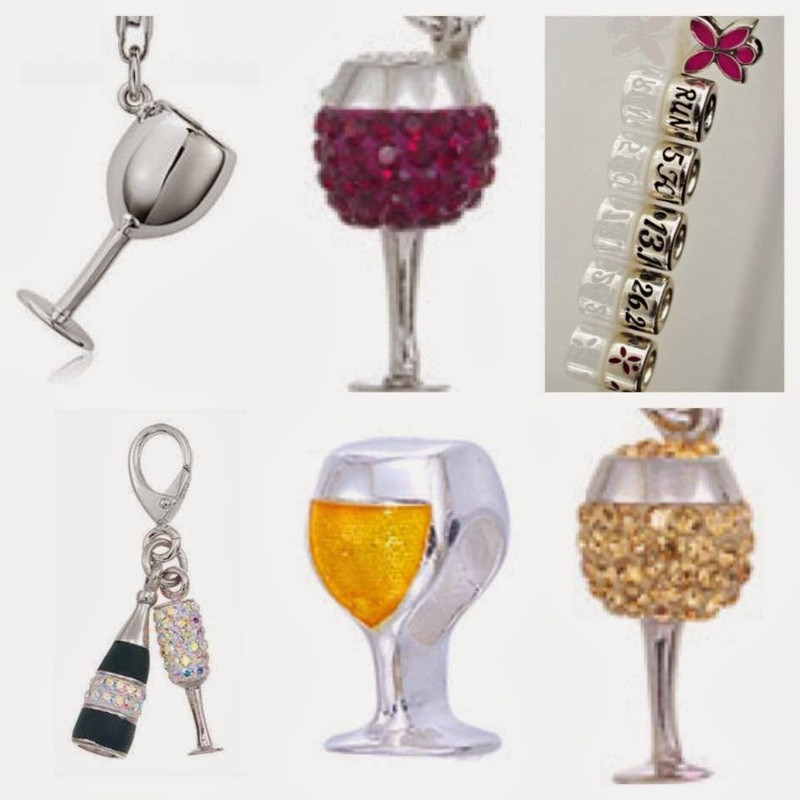 They had so many wine related charms at the expo, so so so cute. I will definitely include one of these on my bracelet. I then headed over to Fit 2 Run who was having a major sale. I scored a pair of Nike Capri's for $19, originally $50! Our final stop was the runDisney booth so Gabe could set up my race tracker. They had a ton of computers available where spectators could track their runners. You can always do this a few days prior to race day online sat rundisney.com but we both forgot! 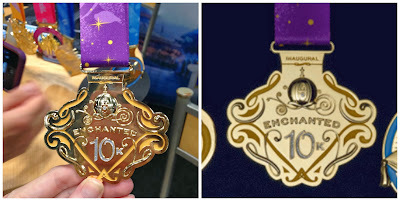 Thank goodness runDisney had this feature available at the expo. We also got to check out the 2014 Princess Half Marathon weekend medals, including the Glass Slipper Challenge. This race series opened for registration right around my Birthday - my Mom was kind enough to get me this as my birthday present and you can read which princess I am dressing up as by clicking here! So that's my big day at the expo! I usually run in and out of these things but this time, I really did enjoy myself. 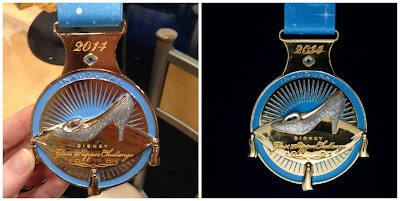 2013 runDisney Wine and Dine Half Marathon recap! I did it! Official marathoner.